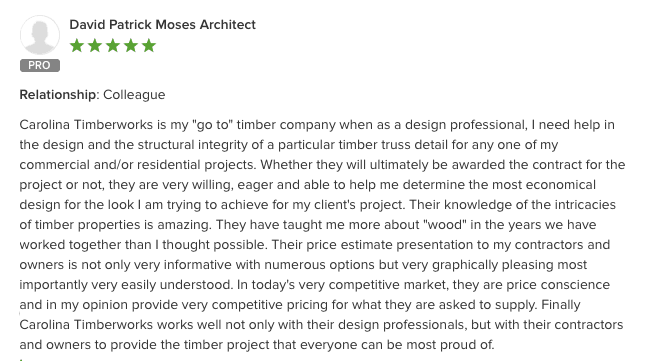 Carolina Timberworks is my “go to” timber company when as a design professional, I need help in the design and the structural integrity of a particular timber truss detail for any one of my commercial and/or residential projects. Whether they will ultimately be awarded the contract for the project or not, they are very willing, eager and able to help me determine the most economical design for the look I am trying to achieve for my client’s project. Their knowledge of the intricacies of timber properties is amazing. They have taught me more about “wood” in the years we have worked together than I thought possible. Their price estimate presentation to my contractors and owners is not only very informative with numerous options but very graphically pleasing most importantly very easily understood. In today’s very competitive market, they are price conscience and in my opinion provide very competitive pricing for what they are asked to supply. 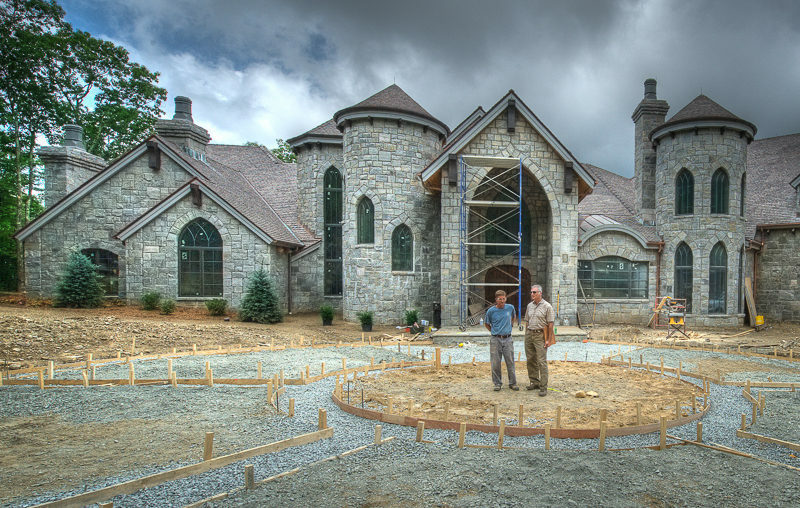 Finally Carolina Timberworks works well not only with their design professionals, but with their contractors and owners to provide the timber project that everyone can be most proud of.